Driver : That will be £10 please. 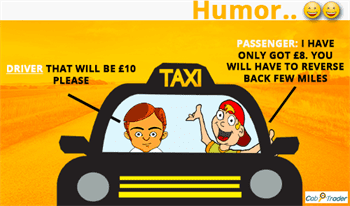 Passenger : I have only got £8 you will have to reverse back a few miles. 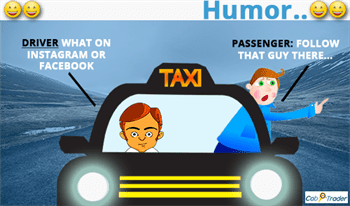 Why did the taxi driver quit his job? 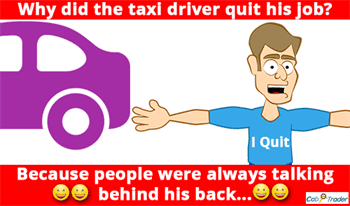 Because people were always taking behind his back. 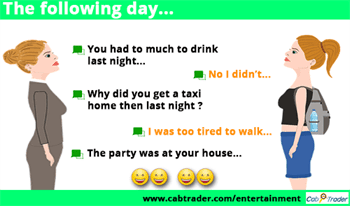 Customers conversation after a party night. 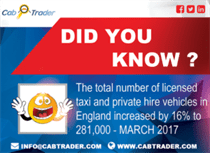 Taxi Stats: Total number of taxis in 2017. 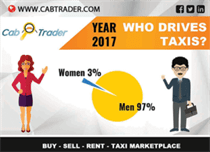 Women taxi driver 3% and men taxi drivers 97%. 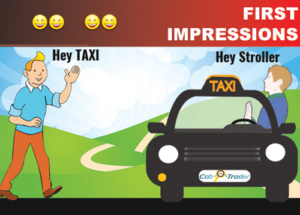 Areas where there has been an increase in the number of taxi drivers. 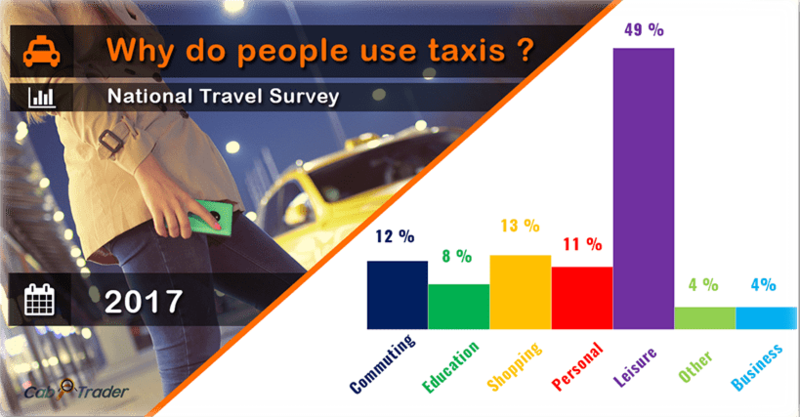 Statistics showing why people use taxis. 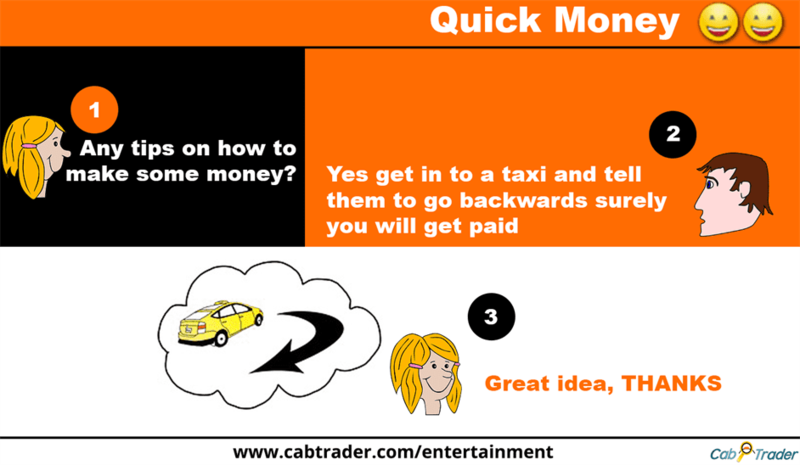 Tips on how to make quick money.